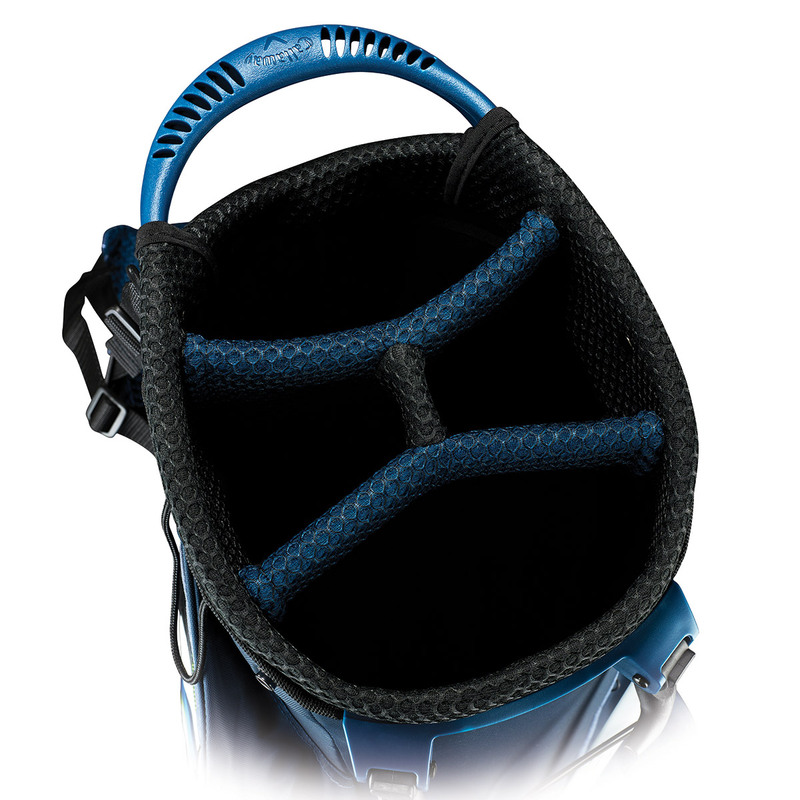 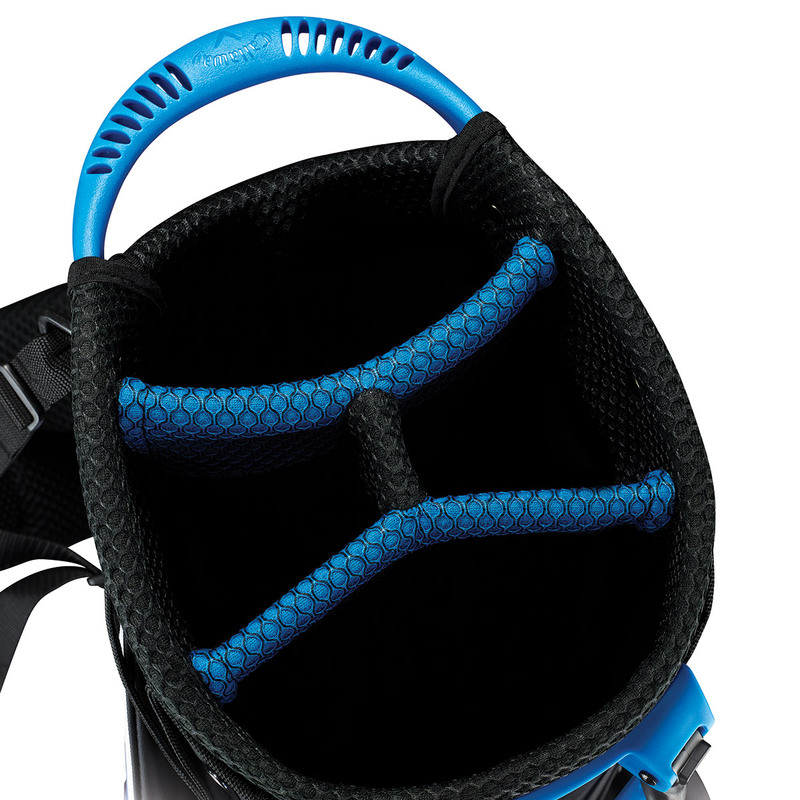 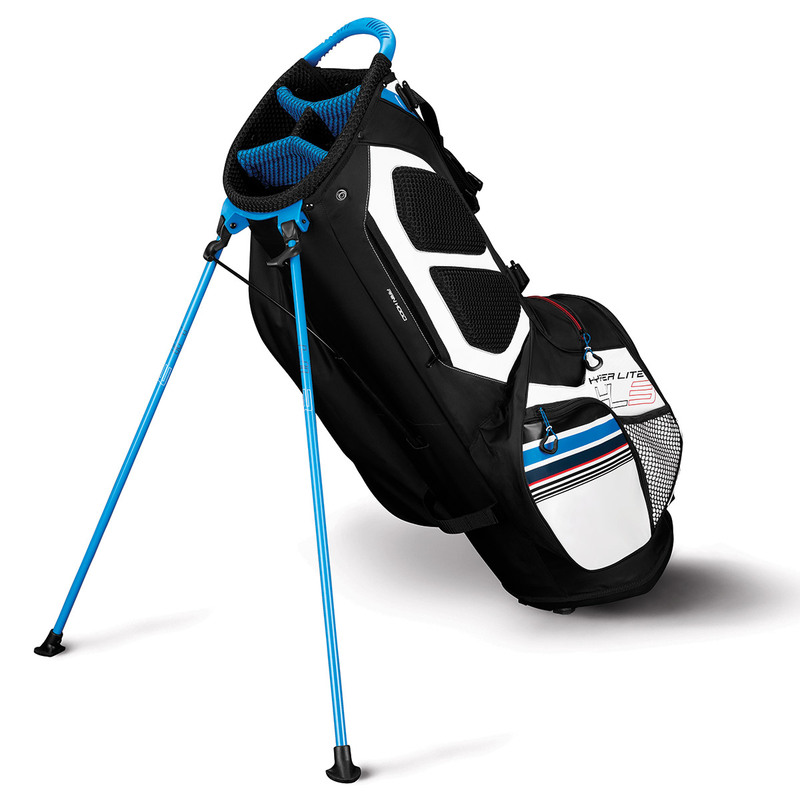 The Hyper-Lite 3 is perfect for golfers who like a full-size lightweight golf bag, and the functionality of a stand. 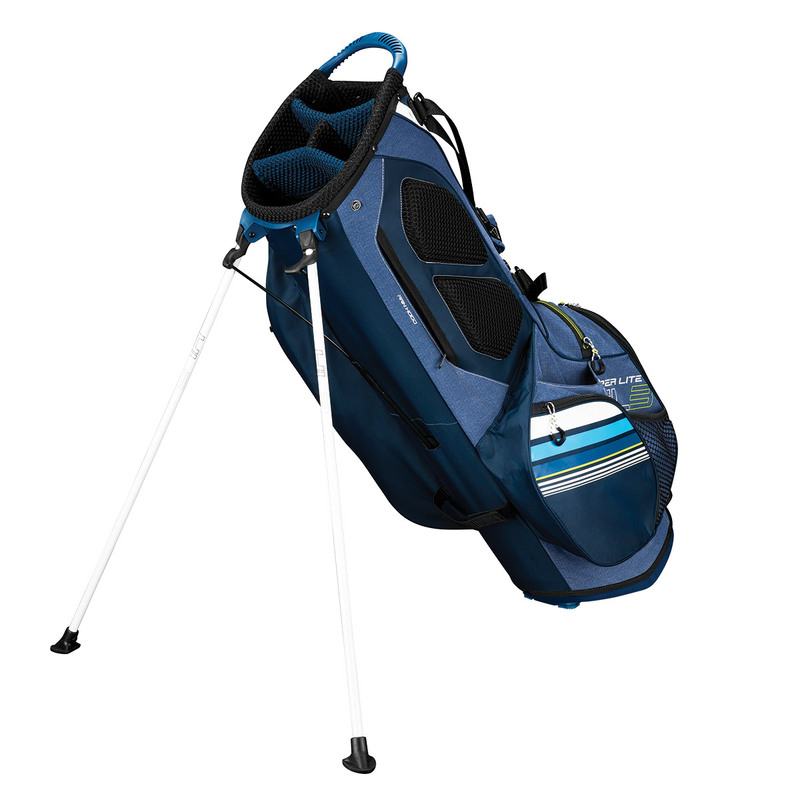 Blending a 4-way top with full-length club dividers, and a self-balancing X-Act Fit Strap System for an extremely comfortable carry. 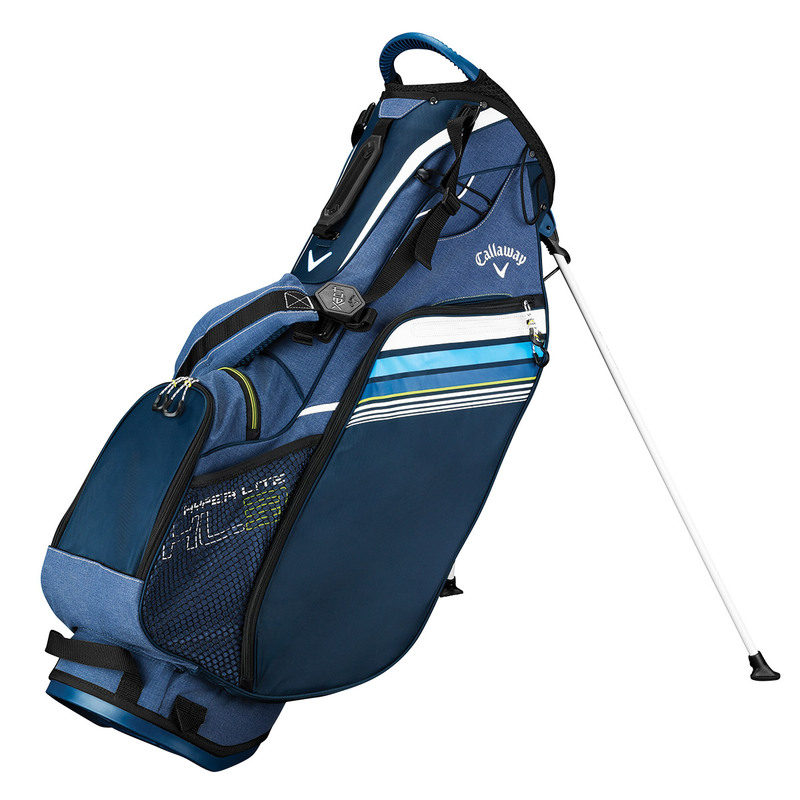 The bag features plenty of storage space, this includes an easy access water-resistant valuables pocket, logo ready ball pocket, insulated beverage pocket, a full-length apparel pocket, and an individual mobile phone sleeve. 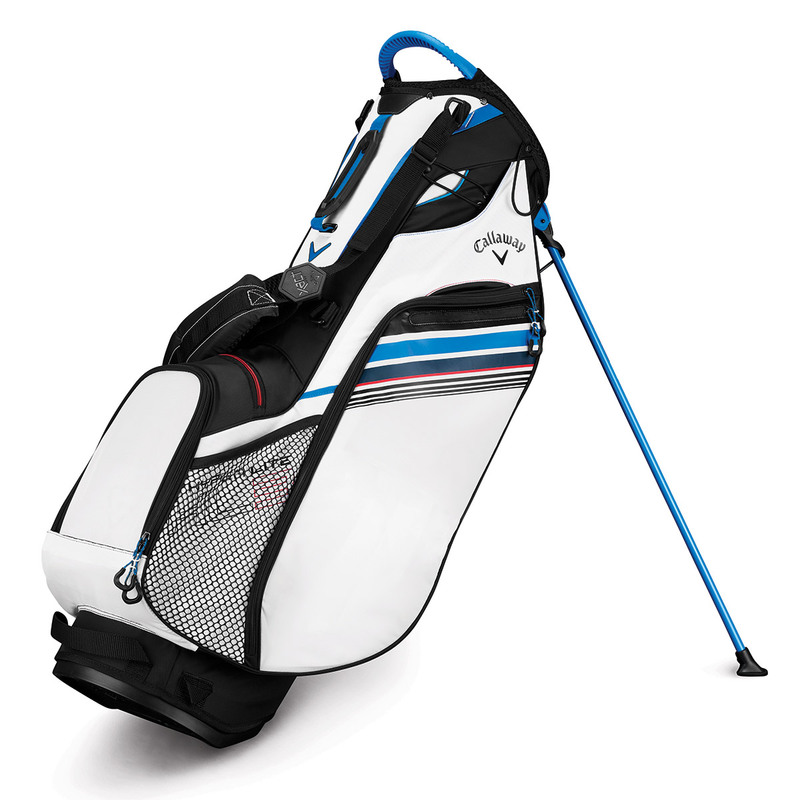 Weight: 4.7 lbs, and comes with matching rain hood, strap-down umbrella bungee, and separate alignment stick sleeve.